Pickbuster has been designed to be a cheap upgrade to existing cylinder locks, protecting them from lock bumping, including cylinder locks, rim locks, garage locks, padlock etc. One sachet is all that is required to protect one lock. You only need to protect the outside key entry of the door. Protect your home from lock bumping, a lock-picking technique that uses a special bump key to force any number of locks. 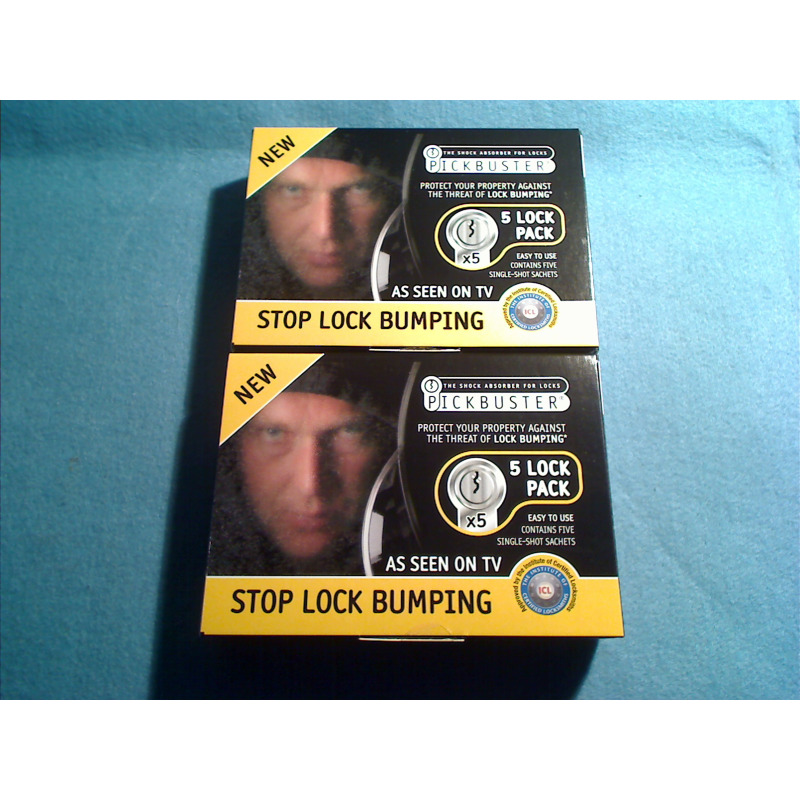 You can safeguard your locks with this home security solution from Pickbuster - a high tack lubricant which is applied to the moving parts of a pin cylinder lock to negate the technique and discourage unauthorised entry. Once applied, it needs to be left for around four to five hours so it can be absorbed by the mechanism. 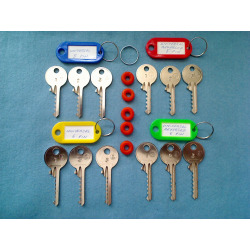 Standard cylinder/ Garage door/roller shutter/ padlock type locks. Either cut or snap the end of one of the sachet's neck as shown above. Gently insert the end of the sachet into the cylinder lock as far as it wil go. Slowly squeeze the sachet to empty Pickbuster into the lock. Remove the sachet and dispose of the empty sachet responsibly. Ensure the lock face is clean. If there is any seeage use a clean cloth to wipe any excess. You need to take out the rim lock by unbolting from the back. 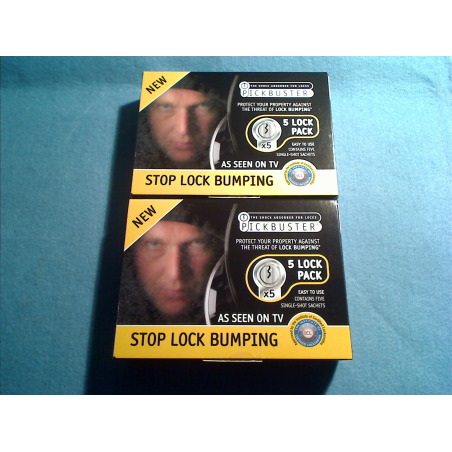 Apply Pickbuster as outline above and then leave for around a minimum of one hour before putting the lock back in place. Ideally try and not use the lock for a minimum of 5 hours. This will allow Pickbuster to drain into the springs. 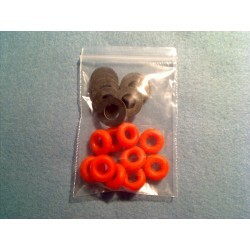 The first couple of times you use Pickbuster you may find a small amount of fluid on the key. This will not harm your key. Pickbuster is non staining, non toxic, non poisonous and is not an irritant. Re-apply Pickbuster every 2 years.